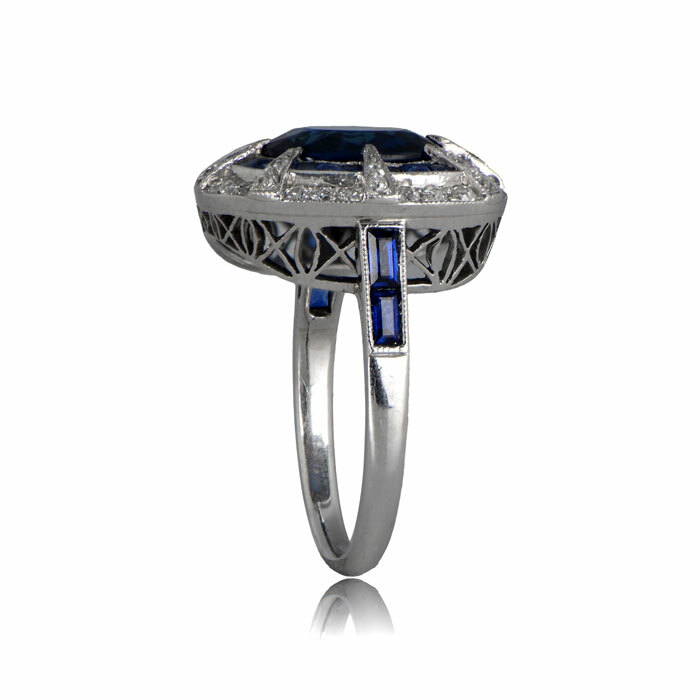 A stunning handmade sapphire ring, showcased within a platinum setting and framed by a row of diamonds and a row of french cut sapphires. 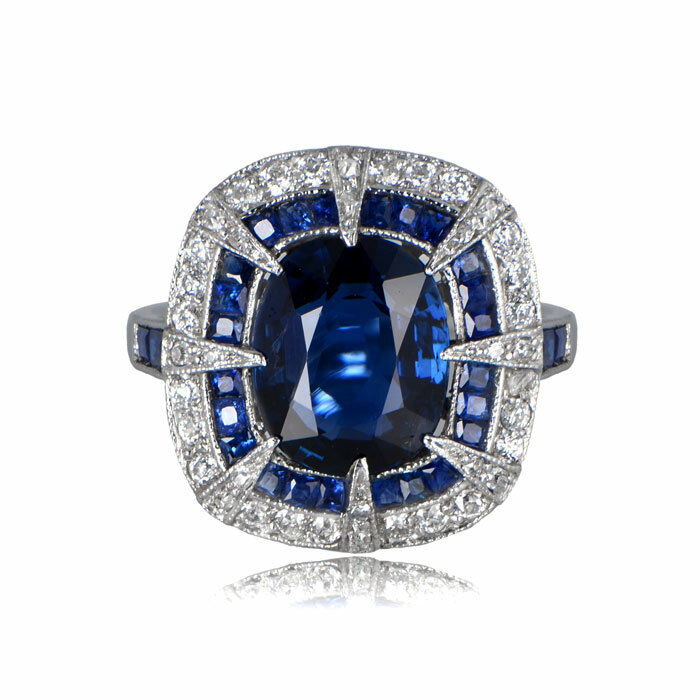 The center sapphire is approx 4.04ct with deep saturation. There are two french cut sapphire on the shoulders of each side of the shank. Artistic filigree adorns the lower gallery of the setting. 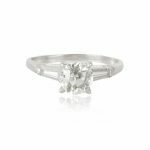 Click here to see the rest of our Sapphire Engagement Ring Collection. 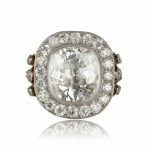 SKU: 11880 Categories: Cushion Cut Engagement Rings, Diamond and Sapphire Engagement Rings, Sapphire Engagement Rings, Vintage Engagement Rings - Contact us and request additional pictures.